Proceeds of the race primarily benefit the Landfall Foundation and other Wilmington nonprofits. Proceeds from the race were $16,000 in 2017 and $18,000 in 2018. The Landfall CoA and Landfall CERT also receive funds. The entire race will be out of Landfall by 8:30am but residents trying to drive between 7am and 8:30am will be significantly delayed. If you need to be somewhere, the airport, a children's event, or work, you will want to be sure to be out of Landfall by 7am. The Drysdale Gate will be your best bet for entering and exiting during this period, but we urge you not to drive until 8:30am. Traffic will continue to be a challenge outside Landfall until noon. Learn more about the marathon by clicking on the website www.wrightsvillebeachmarathon.com. Click here to check 2018 Race Results and gallery. Sign up for a breakfast package delivery when you cheer on these amazing runners! 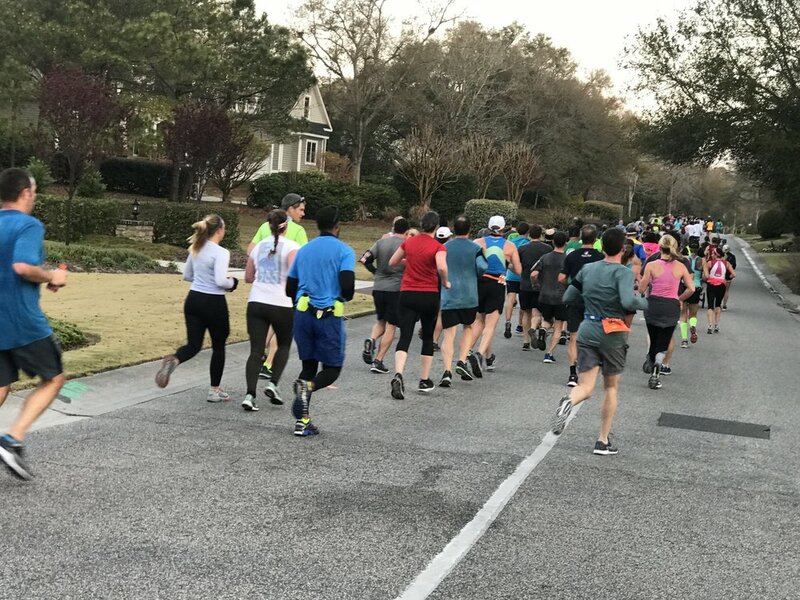 The Foundation will provide complimentary coffee and donuts along the Landfall portion of the race route for any group of 6 or more who sign up to host a cheering group the morning of the race. Thank you! We’ll be in touch! !